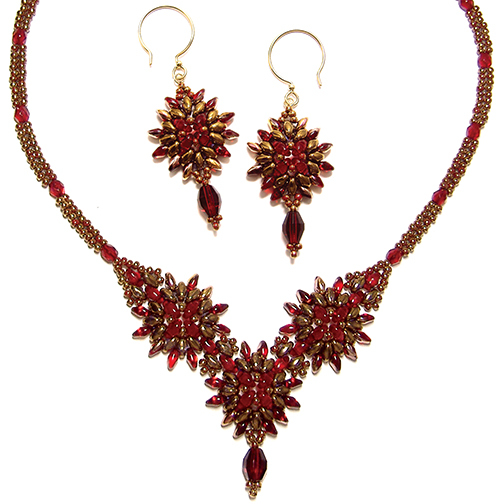 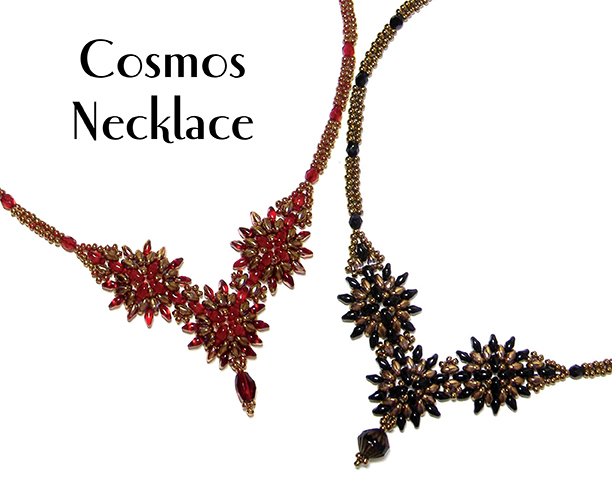 Use SuperDuos, SuperUnos, size 11/0 seed beads, any type 4mm beads and 6-9mm accent beads (for the center drop) to create this necklace and matching earrings. 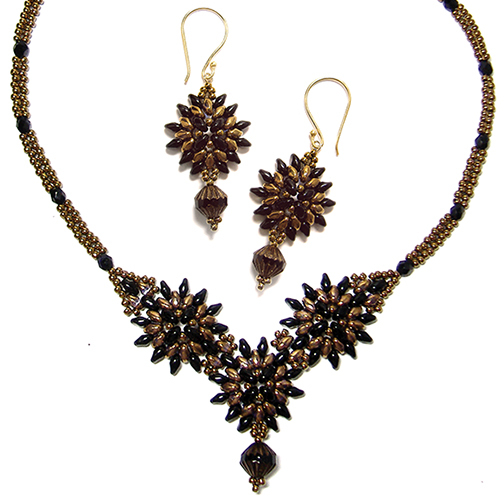 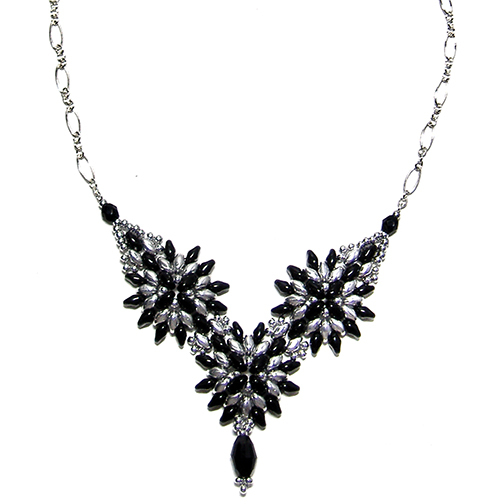 Instructions are also incuded for attaching the center beaded motif to a chain rather than creating a beaded chain. 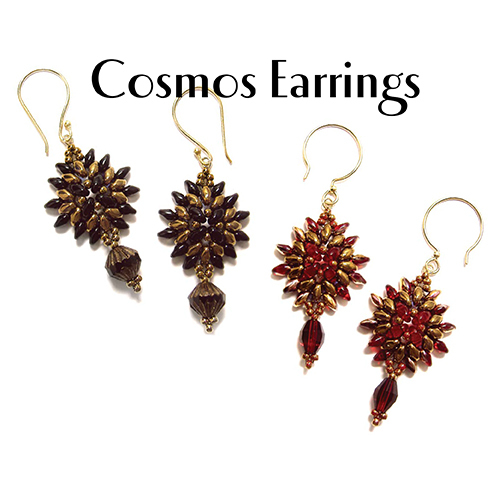 This pattern is fully illustrated with detailed step-by-step instructions and matches the Cosmos Bracelet and Earrings pattern released earlier.